A female body was found near the recent Hart family crash in Mendocino County Saturday afternoon. 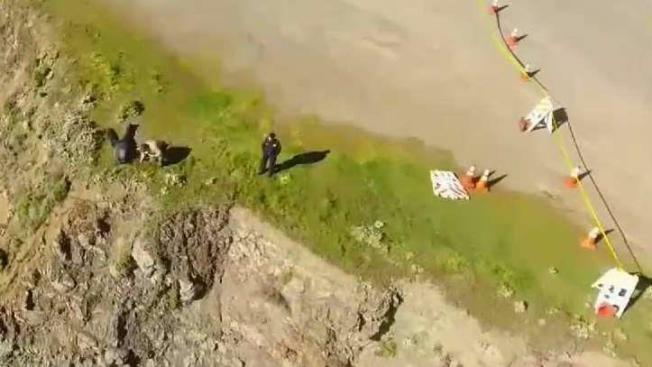 One of the mothers who died when an SUV plunged off a Northern California cliff sent a text two days before the wreckage was discovered, saying she was so sick she might have to go to a hospital, according to 911 call records from Washington state. "Nobody has been able to get ahold of her, talk to her or seen her since ... or her wife, which is Jen," she told the dispatcher at 1:15 p.m. on March 26. She also said she had checked hospitals, but none said they had a record of treating Sarah. An official went to the family's home, knocked and rang the doorbell and left her card in the front door, records said. Two officials returned March 26 — the day the Harts' SUV was found — and the card from the Friday before had been removed. One of the officials left another card and called law enforcement and requested a welfare check.